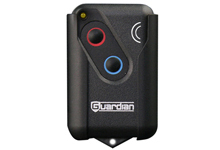 As a family owned company, maintaining long-term personal relationships is Guardian’s strongest belief. 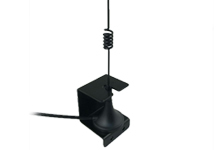 The programming and installation process will be well recognized by installing professionals. 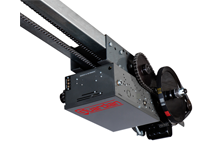 With installer preferred mechanical travel limits and adjustable forces, programming Core Series operators is simple and intuitive. 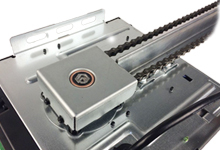 Pro Series programming is considered to be the most straightforward in the industry. The operator has been designed with the professional installer in mind. It may be as easy as having a unique bundle of accessories or having a brand that is not sold down the street or as complex as engineering help with a new design project. 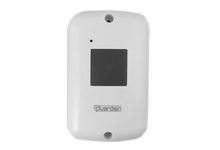 Guardian has years of experience as a consulting partner and supplier to major global OEMs. 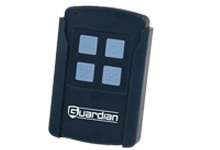 If you need something that other suppliers do not offer to you, call on Guardian to help differentiate your business. 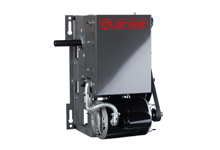 Guardian’s interchangeable integrated rail system means fewer operators in stock will meet more of your job requirements. 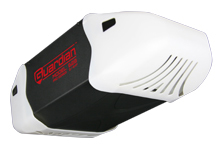 Guardian programs are flexible and can be designed to meet the needs of your business. Our organization focuses on eliminating non-value-added processes. 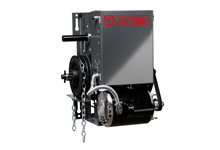 The efficiencies created enables us to pass down this value to our dealers. Thanks again and Randy, especially for your quick response and for allowing me to work with a really great to get along with technician such as George. He and I got along very well and he was easy to work with. Nice to know there are actually people like him, with such a can-do attitude, still around. Best to both of you. I truly hope that this email will motivate you to recognize your employee Louis Meneses. 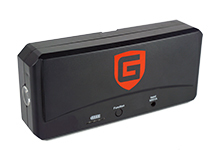 Your employee was able to assist me in reprogramming my garage door unit and I could not be more thankful. Meneses was there for me from start to finish and it was reprogrammed in less than 10 minutes. Meneses impressed me with his product knowledge and customer service skills. Please do what you can to ensure he knows that he has exceeded my expectations as a first time caller to customer service. 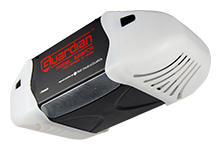 As an installer I recommend Guardian products. The Guardian openers work well and are made to last. 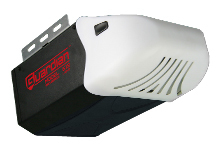 The Guardian Opener system will definitely have a huge impact in the garage door industry, once they become well know! So far they have proven to durable and the prices are very competitive! Now we just have to wait and see if longevity is going to be the final attribute to keep them in the garage door industry! Time will tell so far the ones I have put up trouble free! 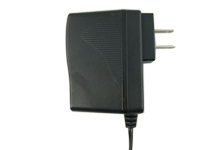 Your customer service person was extremely helpful and knowledgeable. 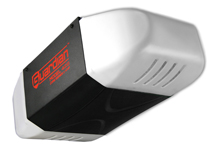 So much so we have decided to keep our garage door opener which is now working correctly for the first itme. Guardian, Thank you so much! It is nice when a company supports their product. Jason in FL was very helpful. Sensor range was limited to approx 2' by my test (unscientific).Sensor is now operating within that constraint, and I was able to reprogram the operator according to OM instructs. Everything is OK now. I talked with your Louie today re some garage opining problems I was having and I want to let you know he walked/talked me thru it all, “fixing” my wireless and 2 remotes to the revised signal in order to get my garage door from opening simply on its own.... I was taken care of with patience and understanding. Thanks from me and my wife. Thanks again Jason for your great customer service. My name is Terry and I have a Guardian garage door. It had a faulty circuit board and I ordered a new part from Andrew/Diego. Then, after it got here, I called Diego and he spent a couple of hours walking me through the replacement process. He was VERY helpful, courteous and patient. Very simple to install opener! One of the best openers I have ever installed all customers are very happy with it. I hope this email reaches the correct person. I want to acknowledge Jason Villega. My mother’s garage door cable line snapped and the garage door slammed. 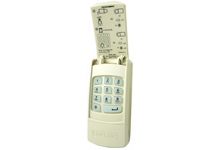 She had someone come over and repair the cable but he said he couldn't program the remotes or wall button. So I contacted customer service and spoke with Jason and he said the instructions were on the website but he would be happy to help me. There were several issues and with the garage that he helped me fix. Keep in mind we live in Houston and a hurricane was anticipated the following day. Needless to say Jason even pulled over and Facetimed with me to fix the garage issues. This is what I call old school customer service and I appreciate it so much. Needless to say a tornado hit my mother’s neighborhood. Our home is fine others not so much. Thanks Jason! Hello, My name is Betsy, and I just got off the phone with Diego in your tech support department. I wanted to let your company know how much I appreciate such fine customer service. 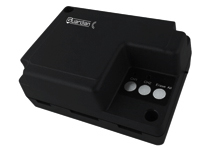 I was bewildered in my attempts to reprogram my Guardian 600SL, and was becoming frustrated. I called Guardian, and the message said that the person was not available. So, I returned to my attempts to solve my garage door opener problem. The phone rang, and Diego was on the other end. He walked me through the process step by step, and now my opener is functioning properly again. Prompt and friendly customer service seems to be dying out these days, but not with people like Diego. Your company is well represented by such an employee. Thanks you so much for your help!